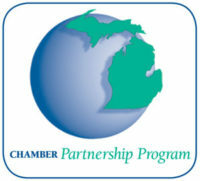 The Chamber Partnership Program provides you with access to Michigan Chamber of Commerce products and services, Plus, if you provide the AYRC promo code during the ordering process, a portion of the revenue will be returned to the A2Y Chamber! There are many decisions to make when it comes time to sell the business you have built. When that time comes, trust the Michigan Chamber of Commerce to help. Through our partnership with Praxis Business Brokers, we can guide you through a step-by-step process of the complexities, all while maintaining complete confidentiality. And, unlike many other business brokerage arrangements, there are no upfront fees. Our partner gets paid when you do, at the closing. And the fees are reasonable. For the most up-to-date Michigan labor law posters and employment law guides, Michigan businesses trust in the Michigan Chamber of Commerce in Lansing, MI. Learn how we can serve you. Click here to purchase labor law posters and publications. Don’t forget to add the AYRC promo code when ordering! The Michigan Chamber of Commerce recognizes that reducing costs for your business remains a high priority. To that end, we have several programs to help you do just that.